Our main languages are English, Russian and Latvian. It means that we suppose to publish the books using one of these languages either as a source language or as a target language. We deal mostly with present day poetry and nonmainstream (i.e. evading traditional narrativity) prose. Our editions are printed in limited amount of copies for circulating mainly in Baltic countries, Russia, Ukraine and other Post-soviet states. 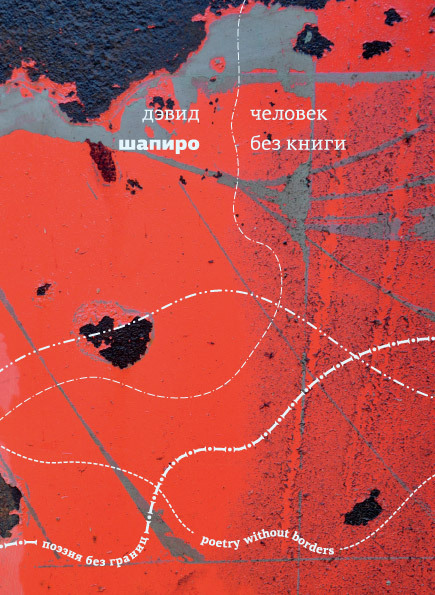 Our series of original Russian books follows the pattern of the book supplement to Vozdukh poetry magazine (started in 2005) in representing actual Russian writing as a multidimensional variety of poetical languages intertwined and feeding each other. Our books of translations inevitably come to the reader as more or less isolated and decontextualized fragments of the inherently consistent system of a source literature; therefore we are focused mostly at powerful authorial personalities carrying on a distinct message of his/her national culture comprehensible even in translation. Ozolnieki : Literature Without Borders, 2019. – 48 pp. – (Poetry Without Borders). – In Russian. Cover: Oleg Pashchenko (design), Linor Goralik (picture). Linor Goralik was born in 1975 in Dnepropetrovsk and currently shares her life between Moscow and Tel-Aviv. She has published about 20 books including poems, novels, tales, flash fiction, comic strips, interview collections etc. Goralik was awarded with "Triumph" prize (in a special nomination for young authors), "Portal" and "Fiddler on the Roof" awards. 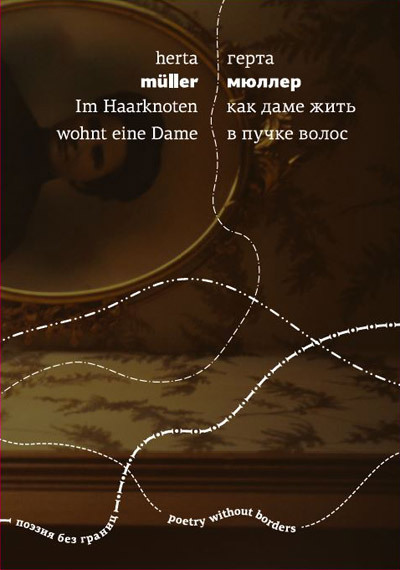 Ozolnieki : Literature Without Borders, 2019. – 52 pp. – (Poetry without borders). – In Russian. Cover: Oleg Pashchenko (design), Polina Andrukovich (photo). Vassily Borodin was born in 1982 in Moscow. Graduated from Moscow Night Metallurgical Institute, worked as editor, proofreader, illustrator. Borodin's poetry is published since 2005 in magazines like “Vozdukh”, “Novyi Mir”, “Volga”, at the literary websites “Polutona”, “Novaya Kamera Khraneniya”, “TextOnly” etc. He authored 5 poetry collections and was awarded with Andrei Belyi Prize in 2015. Ozolnieki : Literature Without Borders, 2018. – 56 pp. – (Poetry without borders). – In Russian. Oleg Pashchenko was born in 1971 in Moscow and graduated from Moscow State University's faculty of Computational Mathematics and Cybernetics. He worked as a designer, headed Art. Lebedev Studio as its art-director from 2002 to 2010 and got some professional awards including the Bronze Lion from International Advertising Festival (2001). Now he teaches in HSE Art And Design School in Moscow. 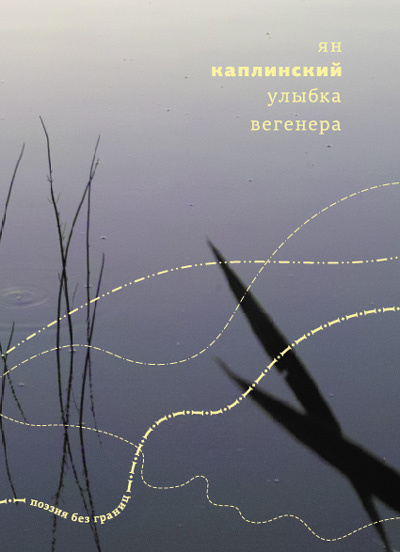 Among Pashchenko's works in book design there is “Poetry without borders” book series. His own poetry was previously collected in two books (2002, 2009). Ozolnieki : Literature Without Borders, 2018. – 76 pp. – (Poetry without borders). – In Russian. 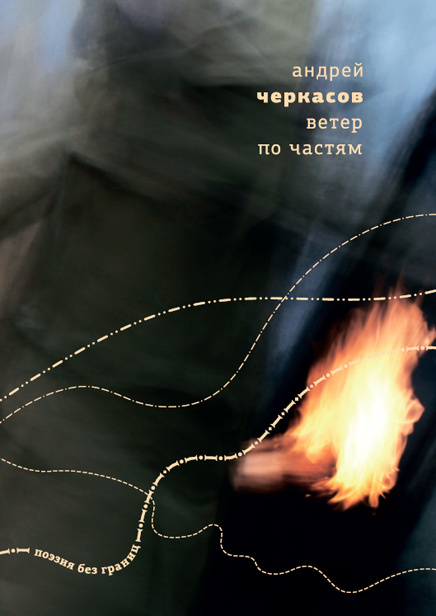 Cover: Oleg Pashchenko (design), Andrey Cherkasov (photo). Andrey Cherkasov was born in 1987 in Cheliabinsk and lives in Moscow since 2007, he is graduated from the Literature Institute. He has published two poetry collections (2012, 2014, the latter was shortlisted for Andrei Bely Prize) and two books of conceptual writing (2015, 2018), authored a number of art projects mingling the visual and the verbal. 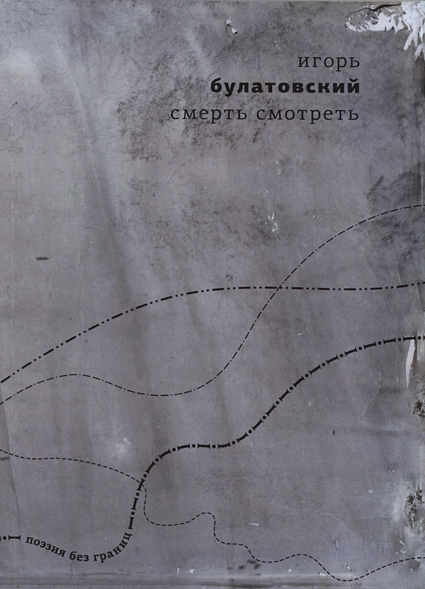 One of these projects, pioneering Russian blackout poetry, resulted with the current book. Translated from German into Russian by Boris Schapiro. – Ozolnieki : Literature Without Borders, 2018. – 216 pp. – (Poetry without borders). – In German and Russian. 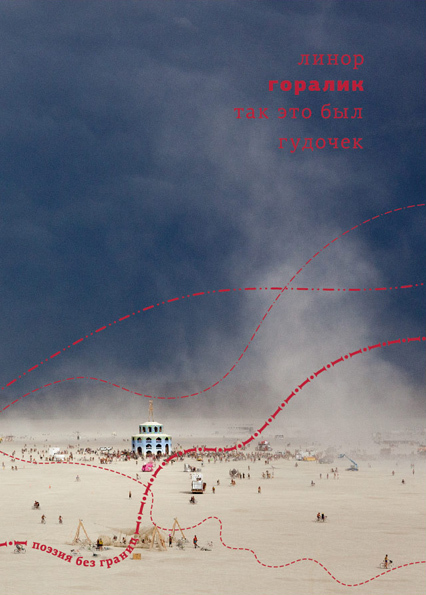 Cover: Oleg Pashchenko (serial design), Gleb Simonov (book design), Samuel Kravitt (picture). Herta Müller was born in 1953 in Romania and graduated from the university in Timișoara. In 1987 she emigrated to Germany, lectured for a while in the universities of Kassel, Tübingen and Berlin. Since 1982 she has published 20 books of prose, 2 essay collections and 6 books of poetry (5 in German and 1 in Romanian). She is awarded with more than 35 prizes and awards including the Nobel prize in literature (2009). Boris Schapiro was born in 1944, graduated from physics department of Moscow university. In 1975 he emigrated to Germany, worked in scientifical institutions of Regensburg and Reutlingen, since 1995 he lives in Berlin. He has published 5 poetry collections in Russian and two in German as well as translations from Friedrich Hölderlin, Paul Celan e. a. Translated from German into Russian by Aljoscha Prokopjew. – Ozolnieki : Literature Without Borders, 2018. – 200 pp. – (Poetry without borders). – In German and Russian. Cover: Oleg Pashchenko (serial design), Gleb Simonov (book design), Richard E. Ahlborn (picture). Aljoscha Prokopjew (Алёша Прокопьев) was born in 1957 in Cheboksary on the Volga River and graduated from the art history department of the Moscow University. He worked as a janitor for a long time, then taught poetry translation in the Literature Institute in Moscow. Prokopjew has published 3 collections of poetry and numerous translations including the whole books of R. M. Rilke, Georg Trakl, Andreas Gryphius and Paul Celan. In 2010 he was awarded with Andrei Bely Prize for poetry translation. Translated from Russian into Latvian by Einārs Pelšs, Arvis Viguls, Dainis Deigelis. – Ozolnieki : Literature Without Borders, 2018. – 96 p. – (Poetry without borders). – In Russian and Latvian. 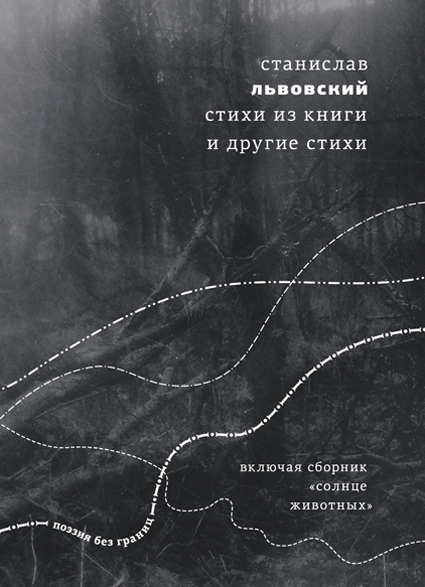 Cover: Oleg Pashchenko (design), Andrei Cherkasov (artwork). Galina Rymbu was born in 1990 in the city of Omsk (Siberia, Russia), graduated from the Literature Institute in Moscow and currently lives in St. Petersburg. In 2010 she won the main prize of the “Young author” (Молодой литератор) festival in Nizhni Novgorod. 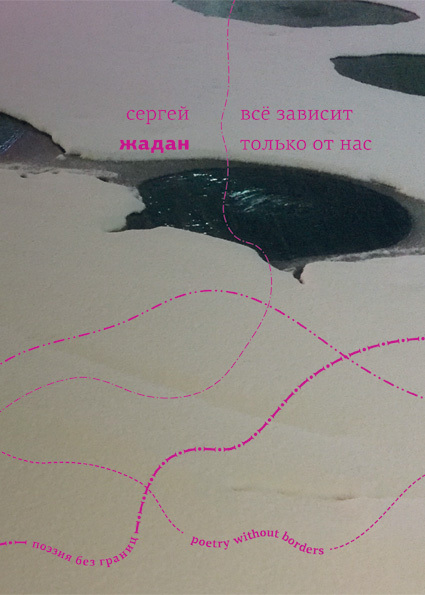 Her first collection “Moving Space of the Revolution” (Передвижное пространство переворота) was published in 2014, collected prose poems “Time of earth” (Время земли) appeared in 2018 in Ukraine; also the chapbook “White Bread” is published in New York City in English translation. Rymbu participated in many poetry festivals, curated the Russian Young Poetry Week in 2013 and Arkadii Dragomoshchenko young poets award since 2014. In 2017 international poets participated in the first trilingual festival “Poetry without borders” in Riga voted for her as the festival's laureate. 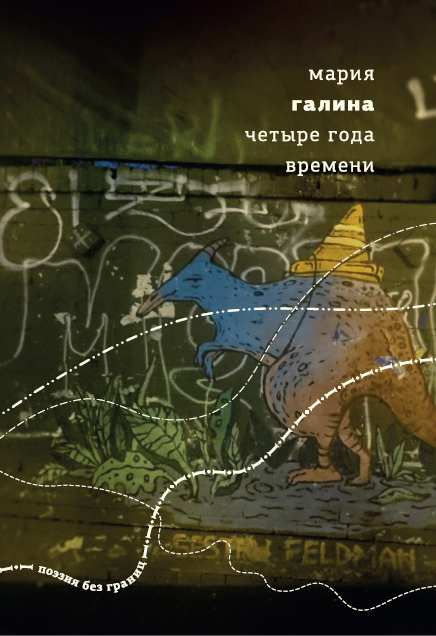 Cover: Oleg Pashchenko (design), Maria Galina (photo), Feldman Sisters (street art). Maria Galina was born in 1958 in Tver (then Kalinin), lived in Kyiv and Odessa and in 1995 settled in Moscow. First published her poems in 1990. She authored 6 books of poetry, 15 volumes of prose, several non-fiction books, many critical articles; she also translates contemporary poetry and sci-fi prose from English and Ukrainian. Galina was awarded with Anthologia and “Moskovsky schet” prizes (both in 2006) for poetry and many awards for sci-fi works. Translated from English into Russian by Gali-Dana Zinger. – Ozolnieki : Literature Without Borders, 2017. – 64 pp. – (Poetry without borders). Cover: Oleg Pashchenko (design), Gali-Dana Zinger (picture). David Shapiro was born in Newark, NJ in 1947 and lives in New York City. He has published 11 poetry collections, the monographs about John Ashbery, Jasper Johns, Piet Mondriaan, and also some translations of poetry from Spanish. Shapiro received a Gotham Book Mart Avant-Garde Poetry Award (1962), Morton Dauwen Zabel Award from the American Academy and Institute of Arts and Letters etc. Gali-Dana Zinger (Singer) is a poet and translator born in 1962 in St. Petersburg and based since 1988 in Israel. Her poetry in Hebrew is published in three collections and was awarded with Prime Minister's Prize in 2004, her translations from Russian into Hebrew include works of Alexander Vvedensky, Joseph Brodsky, Dmitry A. Prigov and others. 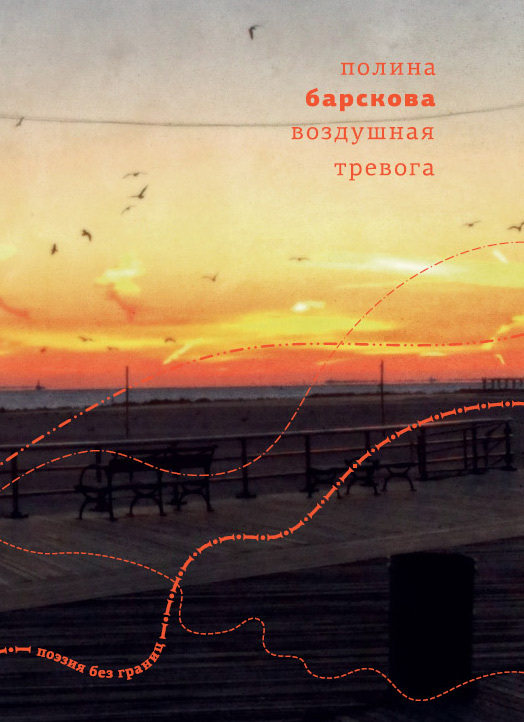 In Russian Zinger has published 7 collections of poetry, she has also translated the poems of several contemporary Israeli and American authors into Russian. Since early 1990-ies she co-edited several literary magazines in Russian, together with her husband Nekoda Singer. Ozolnieki : Literature Without Borders, 2017. – 72 pp. – (Poetry without borders). – In Russian. 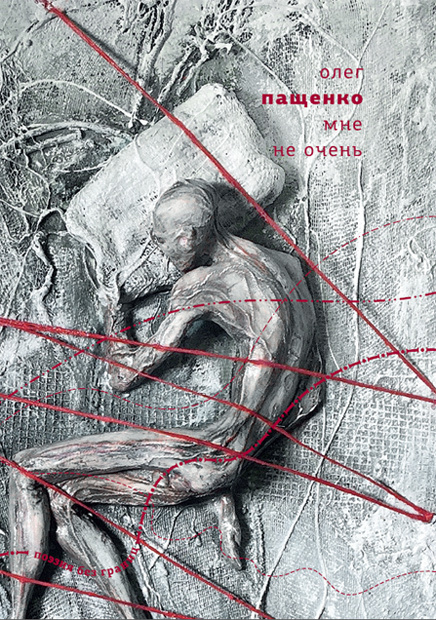 Cover: Oleg Pashchenko (design), Jaan Kaplinski (photo). Jaan Kaplinski was born in 1941 in Tartu, Estonia. Since 1965 he authored 17 poetry collections, 9 books of prose, 7 volumes of articles, 7 books for children, numerous translations – all of this in Estonian. In 2014 Kaplinski published his first book of poems originally composed in Russian; the book was awarded with the Russian prize. The poet is also decorated with many awards including European Prize for Literature (2016). Ozolnieki : Literature Without Borders, 2017. – 64 pp. – (Poetry without borders). – In Russian. 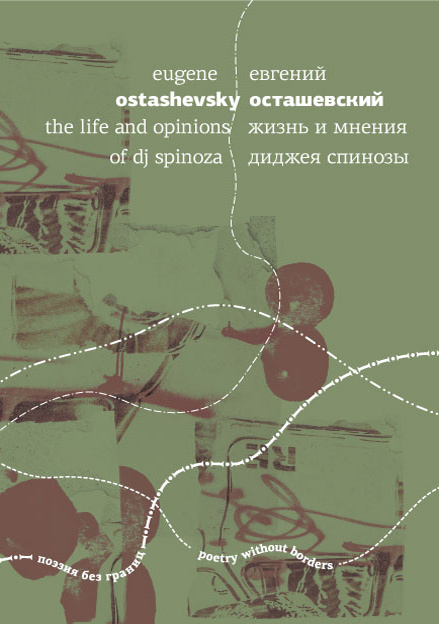 Cover: Oleg Pashchenko (design), Ostap Kin (photo). Polina Barskova was born in 1976 in Leningrad and lives in the United States of America since 1999, currently residing in Amherst. She authored 9 books of poetry and the collection of short prose awarded with Andrei Bely Prize in 2015; she also translates contemporary poetry from English and Ukrainian. Barskova has won the first and only All-Soviet Young Poets' Competition in 1991 and “Tenyota” competition for Russian literature in the Net in 1998, she was also awarded with Moscow en route (“Moskva–tranzit”) prize in 2005. Ozolnieki : Literature Without Borders, 2017. – 192 pp. – (Poetry without borders). – In Russian. 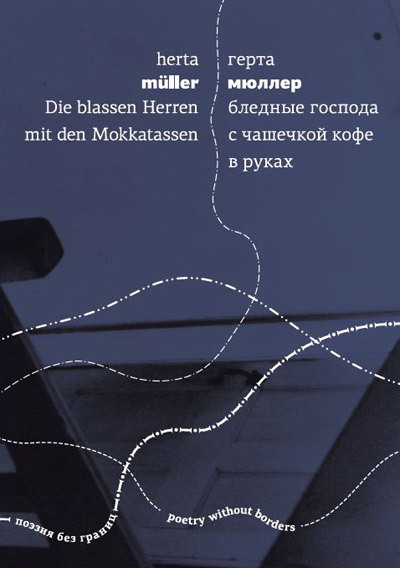 Cover: Oleg Pashchenko (design), Nadja Sveir (photo). Stanislav Lvovsky was born in 1972 in Moscow and now lives in Oxford, UK pursuing his PhD in history. He has published 4 poetry collections, 3 books of prose, a novel (in collaboration with L. Goralik), some translations of contemporary poetry (including the poems by Ch. Bukowski and L. Cohen). He was awarded with “Moscow Count” Prize for young poets (2003) and Evgeny Turenko Prize for impact on the younger poetic generation (2016). Ozolnieki : Literature Without Borders, 2016. – 96 pp. – (Poetry without borders). – In Russian. Igor Bulatovsky was born in 1971 in Leningrad, graduated from the history department of local university and now lives there working at Ivan Limbakh Publishers. He has earned significant reputation as a translator of Paul Verlaine's poems and interwar Yiddish authors. His own poetry was remunerated with Hubert Burda Prize for young Eastern European poets (2005). This book is Bulatovsky's 8th collection since 1995. Translated from Ukrainian by Polina Barskova, Igor Belov, Stanislav Belsky, Mariya Galina, Boris Khersonsky, Dmitry Kuzmin, Andrei Shchetnikov, Igor Sid, Alexei Tsvetkov. – Ozolnieki : Literature Without Borders, 2016. – 128 pp. – (Poetry without borders). – In Russian. Cover: Oleg Pashchenko (design and photo). Serhiy Zhadan (Сергій Жадан) was born in 1974 in Luhansk Oblast of Ukraine, graduated fron Kharkiv University and got his PhD there with the thesis on the key figure in Ukrainian avantguarde poetry of early XXth century Mykhaylo Semenko. Zhadan has published about 30 books of poetry and prose in Ukrainian, as well as translations from Paul Celan, Czesław Miłosz, Charles Bukowski, contemporary Russian and German authors. He has also issued several albums of his poems performed together with a rock band. Zhadan was awarded with many national and international literary awards including “Angelus” prize for the best book of Central Europe (2015). Ozolnieki : Literature Without Borders, 2016. – 56 pp. – (Poetry without borders). – In Russian. Gali-Dana Zinger (Singer) is a poet and translator born in 1962 in St. Petersburg and based since 1988 in Israel. Her poetry in Hebrew is published in three collections and was awarded with Prime Minister's Prize in 2004, her translations from Russian into Hebrew include works of Alexander Vvedensky, Joseph Brodsky, Dmitry A. Prigov and others. 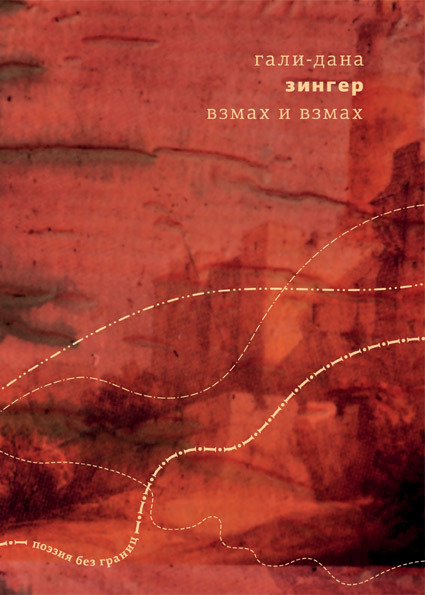 Zinger also has translated the poems of some contemporary Israeli and American authors into Russian. Since early 1990-ies she co-edited several literary magazines in Russian, together with her husband Nekoda Singer. 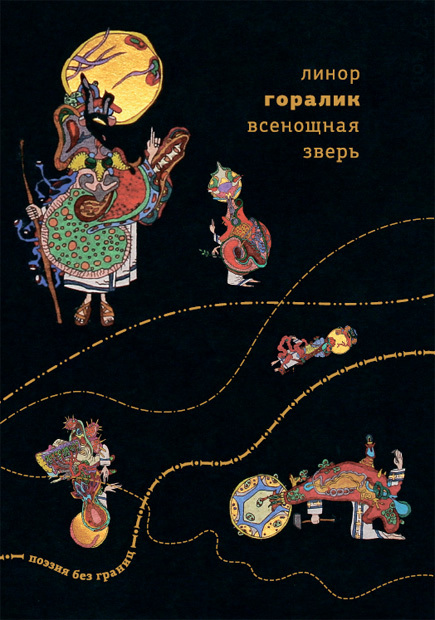 This book is the 7th collection of Zinger's Russian poetry. Ozolnieki : Literature Without Borders, 2016. – 72 pp. – (Poetry without borders). – In Latvian. 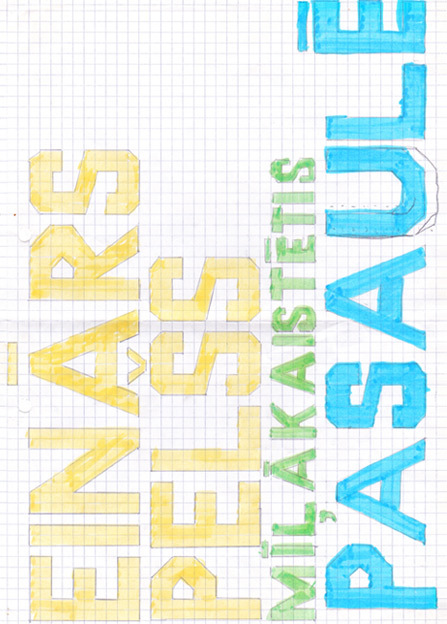 Einārs Pelšs was born in 1960 in Preili, Latvia. In 1987 he has graduated from the Russian philology department at the Buryatia State Pedagogical Institute, that same year his first poetry collection "Maya" (Maija) has appeared. He has also translated from Russian into Latvian many poems of Igor Severyanin, Nikolai Gumilyov, Igor Pomerantsev, Andrei Sen-Senkov, Linor Goralik and other poets. Translated from English into Russian by Alexander Zapol. – Ozolnieki : Literature Without Borders, 2016. – 104 pp. – (Poetry without borders). – In English and Russian. Cover: Oleg Pashchenko (design), Eugene & Anna Timerman (picture). Eugene Ostashevsky was born in 1968 году in Leningrad and lives in the USA since 1979. He has got his PhD from Stanford university with the thesis discussing the idea of zero in Renaissance literature and culture. Now he teaches in New York and Berlin. He has published in English three collections of poems: Iterature (2005), The life and opinions of DJ Spinoza (2008), Enter Morris Imposternak Pursued by Ironies (2010), and also translated from Russian some poems of Alexander Vvedensky, Daniil Kharms, Dmitry Golynko. Alexander Zapol was born in 1970 and lives in Latvia. He has studied Russian literature in the universities of Tartu and Riga. He has published numerous translations of contemporary Latvian poetry including Kārlis Vērdiņš's collection Credits (Титры, 2003), Marts Pujāts' collection Two-star churches (Двухзвёздочные церкви, 2005), the book of different authors For us (За нас, 2009). 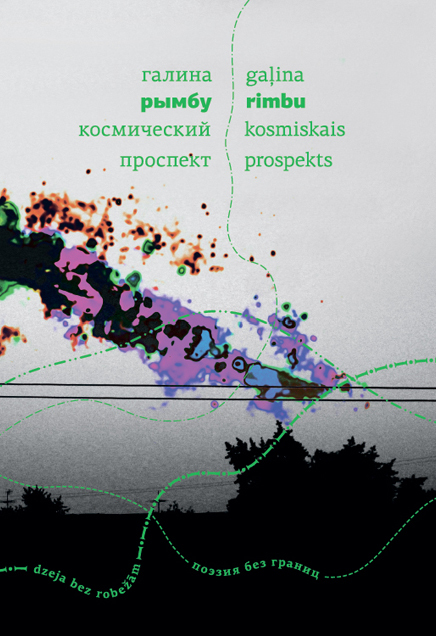 Zapol also compiled the anthology «Latvian/Russian poetry» (2011). Ozolnieki : Literature Without Borders, 2015. – 72 pp. – (Poetry without borders). – In Russian. 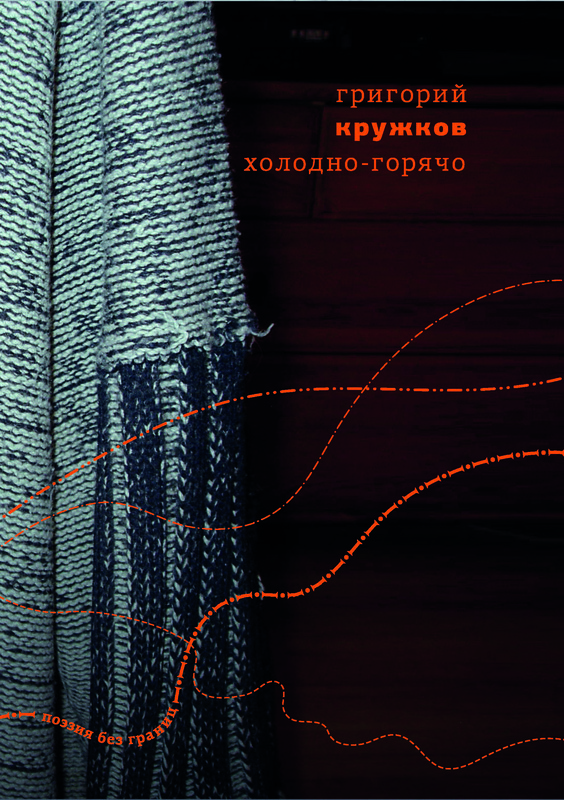 Cover: Oleg Pashchenko (design), Grigory Kruzhkov (picture). Grigory Kruzhkov is a poet and translator born in 1945. He graduated from the physics department of Tomsk University, then switched to literature and got Ph.D. in literature from Columbia University with the thesis on W.B. Yeats. He has published 7 poetry collections, 5 collections of essays about poetry, several books of translations (from John Donne, Shakespeare, Keats, Emily Dickinson, Yeats, Frost, Wallace Stevens etc.). Kruzkov was awarded with The State Prize of Russian Federation (2003) and many other awards, he is conferred with a Doctor in Letters at Trinity College Dublin. 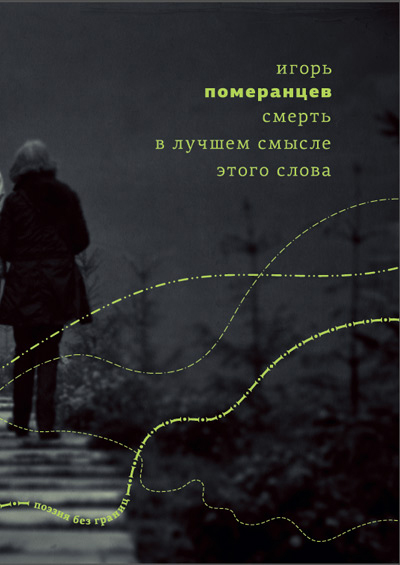 Cover: Oleg Pashchenko (design), Milena Findeis (picture). Book graphics: Lydia Starodubtseva. Igor Pomerantsev was born in 1948 in Saratov, Russia and raised in Ukraine. He has emigrated from the USSR in 1978 and lives in London and Prague since that. He serves as a presenter for Radio Liberty since 1987 and works as a wine critic. Pomerantsev authored 15 collections of poems and short prose, he was awarded witn Viazemsky Prize in 1996. Ozolnieki : Literature Without Borders, 2015. – 64 pp. – (Poetry Without Borders). – In Russian. 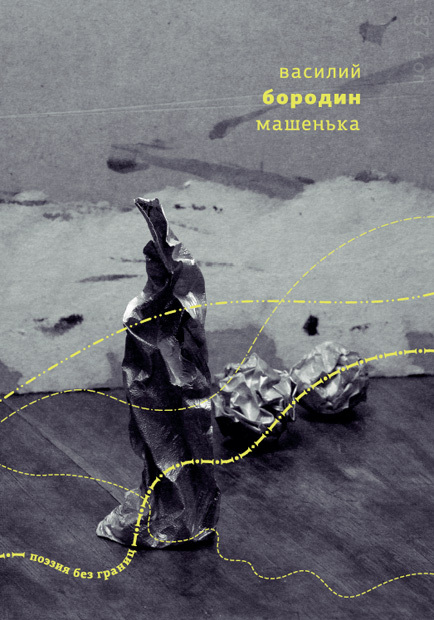 Cover: Oleg Pashchenko (design), Dmitry Sumin (picture).